Les Fruits Defendus is Montreal’s volunteer-led urban fruit harvesting collective hosted by Santropol Roulant. 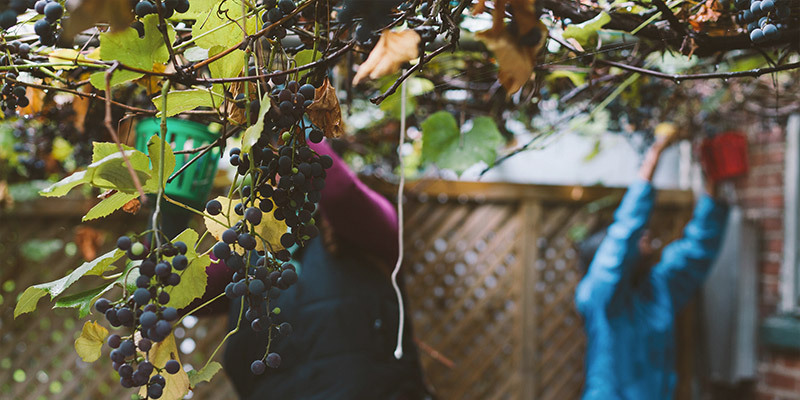 The initiative connects local fruit tree owners with volunteer harvesters and helps ensure that this valuable local food resource does not go to waste. After the fruit is harvested, it is divided in three between the tree owner, volunteers, and a beneficiary organization. The collective leads fruit harvests in neighbourhoods in the central part of the city, including the Plateau and Mile End, Rosemont – La Petite Patrie, Parc-Extension, and Villeray. Fruit, people, nature, ideas, knowledge, skills. Health, accountability, ecology, sustainability, nature in the city. Transparency, horizontal, creativity, multilingualism, intergenerational, down-to-earth, resilience. There are many ways to participate in our collective. Tree owners, volunteer harvesters and beneficiary organizations each share a third of the bounty from each harvest! Do you have a fruit tree or two in your backyard? We can come and pick the fruit for you when it’s ripe! We harvest cherries, Saskatoon berries, plums, peaches, pears, apples, grapes and more. 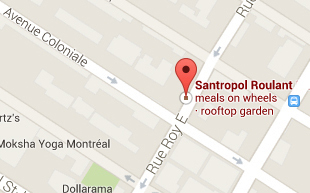 We pick primarily in the Plateau but also in other areas of Montreal. We donate many kilos of fruit each season to local food banks and community organizations. Fruit is either fresh or transformed into delicious jams, sauces, or other preserved items. Do you have a few spare hours to share the shade of a fruit tree with another volunteer, picking fruit? Each season, hundreds of Montrealers join us for picks, and volunteers help organize picks and events, present at urban agriculture events and more. Harvesters & helpers are also part of a collective that gathers for social and educational events. Each season, about 5-10 members meet regularly to keep the collective thriving. We love fruit! Our decisions are consensus-based and driven by the collectives values. Core members are recruited yearly before the season begins, but we’re always interested in hearing from enthusiastic people who want to help out or be a candidate for next year’s core membership.